Damiana leaf is popular for its purported aphrodisiac and antidepressant properties, and it is sometimes used to boost physical and mental capacity and as an aid in times of physical exertion. It’s also used in folkloric medicine to treat diabetes, inflammation and kidney ailments. However, no research documents such effects in humans, according to “The Complete Commission E Monographs,” by Mark Blumenthal. Some people use it to gain an herbal “high,” according to Drugs.com. You can find it in tea, capsule and bulk herb powder forms, or in damiana liqueur. Therapeutic doses have few side effects, but large doses may be dangerous. High doses of damiana may cause convulsions that are similar to those caused by tetanus, according to “The Essential Herb-Drug-Vitamin Interaction Guide” by George T. Grossberg and Barry Fox. There’s no official recommendation for damiana dosage due to lack of scientific study, according to Blumenthal. However, traditional dosages are 2 to 4g of dried damiana leaf taken three times a day, according to Grossberg and Fox. If you are diabetic, consult a doctor before trying damiana. It may increase your risk of becoming hypoglycemic, meaning your blood-sugar levels will fall too low, if you take it along with certain drugs meant to control blood sugar, including insulin, according to Grossberg and Fox. 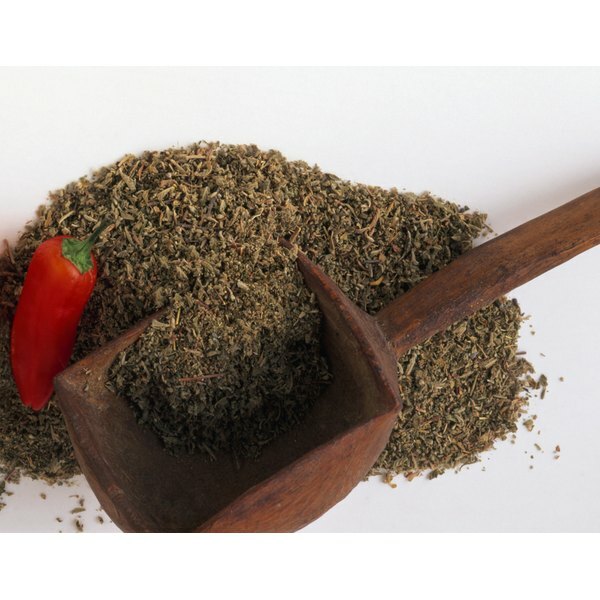 If you are pregnant or nursing, it’s best to avoid damiana leaf, advises Drugs.com. In high doses, there is a risk of cyanide toxicity. This is due to cyanogenetic glycosides, which are components found in damiana leaf. These phytotoxins are present in many foods we safely eat, including lima beans and almonds, though high levels are dangerous, according to the National Institute of Public Health and Environmental Protection.